Maybe it’s an unfortunate side effect of our Spotified culture of instant artistic gratification, but when you get right down to it, there aren’t a whole lot of bands left specializing in actual “psychedelic” music—stuff that feels magically beamed in from another galaxy of rainbow, 3-D hues. 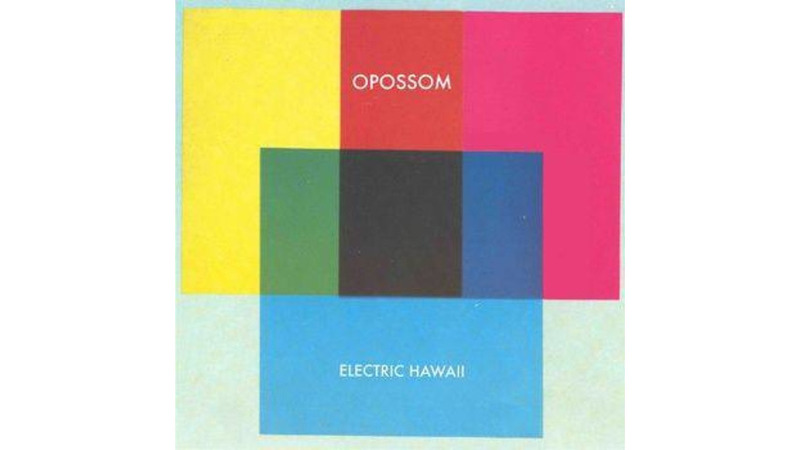 Enter Kody Nielson, the sole sonic wizard behind the lush, bedroom psych-pop of Opossom’s Electric Hawaii. Most of Nielson’s minimal press thus far has focused on his relationship to brother Ruben Nielson of Unknown Mortal Orchestra (for whom Kody also served as a touring member). That perspective should change rather quickly: Electric Hawaii not only sounds miles away from UMO’s lo-fi indie-rock, but it’s also one of the most fascinating debut albums of the year. Throughout, Nielson (playing, writing and recording everything all on his own) crafts expansive canvases of multi-textured sound. And Electric Hawaii is impressive based purely on sounds alone, from the nifty bass-marimba interplay on lead-off soul jam “Girl” to the gurgling electronics on the instrumental title track, which sounds like an outtake from Animal Collective’s Feels. But Nielson excels at more than just soundscapes—he also has an ear for effortless, winding hooks. At his best, those two strengths coalesce: “Fly” sounds like every vintage psych-pop band at once, with a mind-numbing, Zombies-esque melody wandering hazily over a catapulting trap kit, random hand claps and washes of “Strawberry Fields” mellotron. “Blue Meanies” builds a relentless bass groove at the center of weaving keyboards, space-echo harmonies and layer upon layer of in-the-red percussion. Electric Hawaii loses steam as it chugs along (see: the repetitive spy-theme glow of “Why Why”)—a concern, given that the album is barely longer than an episode of H.R. Pufnstuf. But Nielson is a formidable talent worth watching, and his debut should still turn plenty of heads.